Positivity which is a major key in attaining success in life is the main idea of this very write-up. 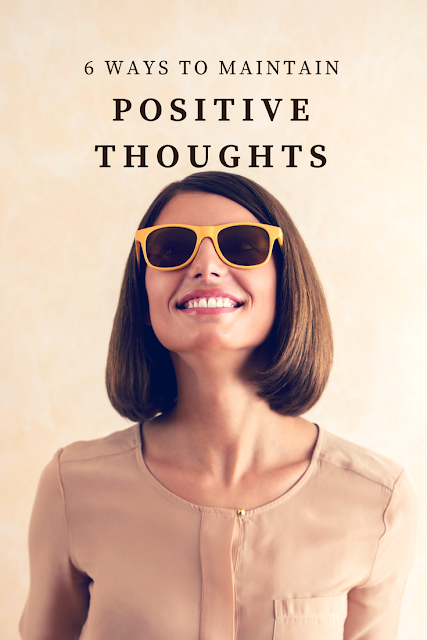 Before i outline and perhaps explain in details the ways by which you can maintain positive thoughts in everyday life, i would like to first outline the very definition of this word Positivity. Overcome Fear: Fear is a major enemy of success which is actually a state of the mind that one can train him or herself to overcome. overcoming fear can help maintain that positive thoughts. Overcome Doubts: Learn to overcome that doubt in you. In the quest to achieve great things in life and reach those great heights, once doubt sets in it goes a long way affecting your positive thoughts. Avoid Certain Discussions: To keep being positive you should not engage in every discussion, know the kind of discussion that is worth your time cause not every discussion or chat is worth your precious time, if that very discussion is not in any way or manner contributing to your wellbeing or self improvement then there is no need being in it. Avoid Unnecessary Arguments: This is one vice that in the past would say am guilty of but a time came that in one particular heated argument with some group of people on some irrelevant matter that after that very argument i asked myself what's the need? cause at the end you might start reminiscing on some things they said that will only weigh your spirit down. So staying clear off it is the best thing to do that is if the subject matter is not something that will help your course in any way. Delete the Word Impossible from your Thoughts: There is no goal that one commits a 100% and with a little bit of luck and above all God on the person's side that is impossible to achieve. So next time before you term it impossible first ask yourself "Have i committed my all"? seeing that very test or goal as impossible will only mar your positive thoughts. Always Think Positive: Let your whole thinking be about every thing turning out to be a success at the very end regardless of how difficult the beginning is, if at any time anything negative crosses your mind, almost immediately snap out of it so as not to corrupt that positive thoughts. NB: Negative thoughts and Positive thoughts are just a state of the mind which we as human have the power to position of mind to any we so please.